I have had horses my intire life (40 plus years) as my mother & other family members were very involved with horses when I was a child.The horses back then were mostly grades & crosses,but were loved none the less.I always liked the pinto's & had a couple of pinto ponies when I was young & then pinto horses of mixed breeding when I got older.Over the years there have been lot's of horses & half a dozen or so breeds I have had owned & bred.Now my husband & I breed registered paint horses as a hobby or i guess a labour of love is a better discription!! We are a small breeding operation & have no more than half a dozen mares in our broo dmare band at one time & have two stallions.We only breed 2 to 3 mares a year & because we breed the number of mares we do our foals are very well handled.They are halter broke and used to having their feet handled/trimmed & have been dewormed at least once before they leave the farm-they are also APHA registered.What we lack in quantity we make up for with quality,our horses are son's, daughter's & grandaughter's of some of the big names in the paint horse industry.They also have lot's of quarter horse in their lineage and some pretty good foundation paints to boot!! 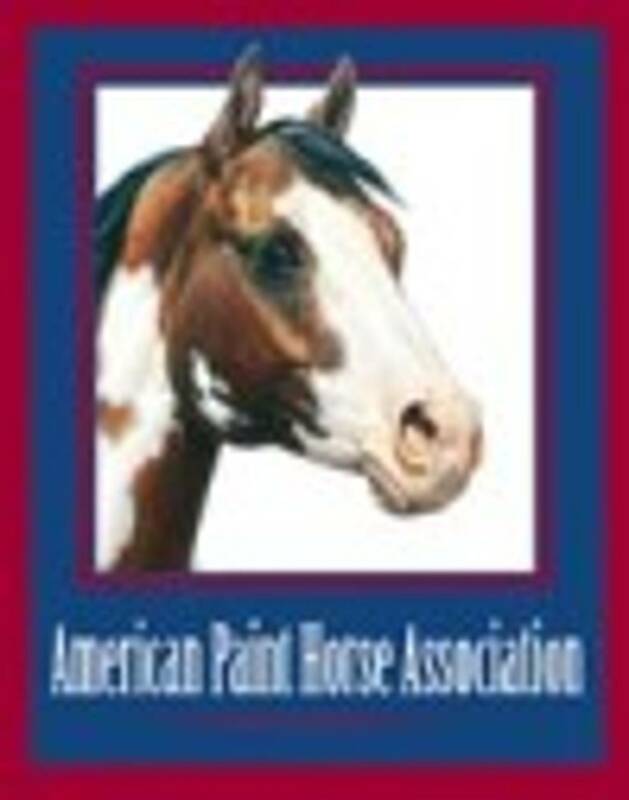 We are lifetime APHA members & strive to have and breed horses that represent the breed well and not one specific discipline,but that are versatile.Whether it be the back yard family horse,trail horse,breeding prospect,driving horse or show horse. We have had some of our foals go on & do very well in eventing & the jumping ring and 4-H as well as some western events such as trail,western pleasure and one that has taken to team penning & one that recently had her first foal.We always welcome inquieries and visitors and if we don't have anything for sale ourselves we know a few fellow paint horse breeders with well bred horses that usually have something for sale and will happily help you if we can. **Pictured is the first foal we got off of our stallion Tru High Style-HF Tru Mocha Princesss a 2005 buckskin tobiano mare who is an example of what we strive to breed for she has beauty,talent and most importantly has a wonderful disposition.Pictured below are a couple more fine examples of Spike's foals & others can be seen on our HF Photo Album page. *Note we also have a facebook page for Hopeful Farm Paints. 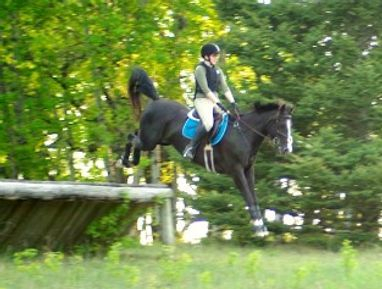 Here is a picture of Truly A Duchess a 2006 black solid mare that is owned by Care Wiebe.Duchess can jump 3.9" with a rider & can free jump(with out a rider) over 4 feet!! 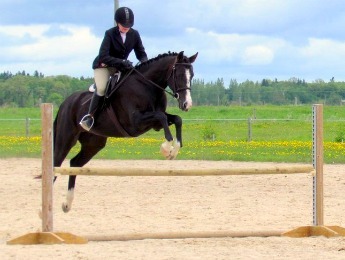 She is now doing eventing and is doing very well at that as you can see from the picture below!!! This is talented mare with a great future a head of her.Keep up the good work! !